Okay, I know, you’re feeling guilty for all the food you’ve been eating as part of the holidays. 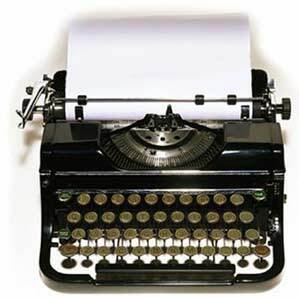 Why not exercise your fingers by participating in typeracer – the global typing competition? I first came upon the website in a magazine, and I thought back to my days in junior high school when I took a typing class. In my youth, it was a requirement. I wasn’t half bad and so I thought I would see how I would fare all these years later. It’s a great way to practice your typing speed while racing against others. It came back fairly quickly. I consistently came in around 110 to 115 words per minute. I thought that was a great speed but there are competitors out there who are above 150 words per minute! Of course, none of this really matters. I don’t know about you, but on my BlackBerry, I’m all thumbs! I like that there is a holiday that asks me to reflect and give thanks. It’s so easy to get caught up in the day-to-day stuff and forgot all the blessings that we have. Even the mundane of life if good. My mum and I write (yes, I said write as in handwritten letters, although sometimes she types on a typewriter — remember those? — and I type on the computer) every week. My life isn’t that exciting. So we write about the day-to-day stuff, and it connects us. One of the blessings in my life is opening my mailbox and seeing her letter waiting to be savored. This year I’m blessed because I’ve had a coach at work, who is helping me grow as a leader and further my coaching skills. We speak monthly by phone as he is in New York. He’s helped me to grow professionally and personally. I’m his pro bono case this year — I like that! When he offered, it sent a further message that he believed in me. My blog is a challenge and a blessing. Sometimes I struggle about what to write. Other days, I have options. No matter what, though, I’m writing again on a regular basis and that feels good. The next step is the novel, and this blog writing is prepping me for that. I love to travel and explore and both my job and my role as president of NPFW give me plenty of opportunities for that. This year alone, I’ve been to Thailand; Albuquerque, NM; Chicago; Idaho Falls, ID, with a few personal trips thrown in. Travel forces you to see what you’re made of. Just getting through the airport is a challenge. When the trip is over, I’m blessed with new memories and adventures. And, of course, NFPW is one of the greatest blessings. I still chuckle at my naivete about the organization. Many years ago, I wondered why members kept coming back year after year to conference. I mean, how many conferences do you need to attend? The answer — all of them! Each conference offers great professional development. But equally important I can reconnect with all the wonderful individuals I met at the last one. Each year, I find I have more friends. I enjoy hearing what they’ve been doing and how they are balancing the challenges of life. I want to know about the highs and lows. And if that’s not enough each conference offers tours — more travel! Another blessing is social media. Yes, I did say that. Because you know all the friends I’ve made and continue to make in NFPW… well, it’s no longer enough to wait until the next conference to connect. So now, through social media, we can update each other through Facebook and other platforms. I love my move reviews from Ann in Denver, hearing how Sandi is faring with her book in Ohio and wondering when the next crazy weather is going to strike in Kansas thanks to Allison. The amazing thing is that having started this list I could go on and on. Turns out it’s good to stop and count one’s blessings. Editor’s Note: This is one in an occasional series profiling NFPW authors. Inspiration can come in the smallest packages. The story continued to evolve, and Debbie decided she would try publishing it. After researching with various vanity presses – all of which wanted at least $20,000 of her money to publish the book she was at a loss. She also feared sending off her book to traditional publishing houses, not because she feared rejection, but because she didn’t want to have to change the book. In time she met with a local illustrator and the two signed an agreement. She started her own business and self published the book. 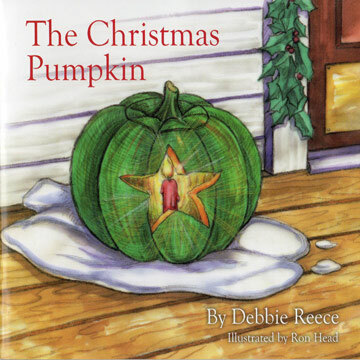 On June 15, 2009, “The Christmas Pumpkin” finished printing – all 1,500 copies. She spent the summer selling books by setting up book signing and author visits. She launched a website, developed a marketing plan and just “worked hard.” The book placed third in the NFPW contest this year. She’s been interviewed in numerous newspapers and appeared on Disney Radio in the Dallas-Ft. Worth area to promote the book. She’s even returned to her elementary school to read the book, of which she has sold more than 3,000 copies. Debbie is at work on her next two, both of which are humorous views of life with a toddler and a young child. 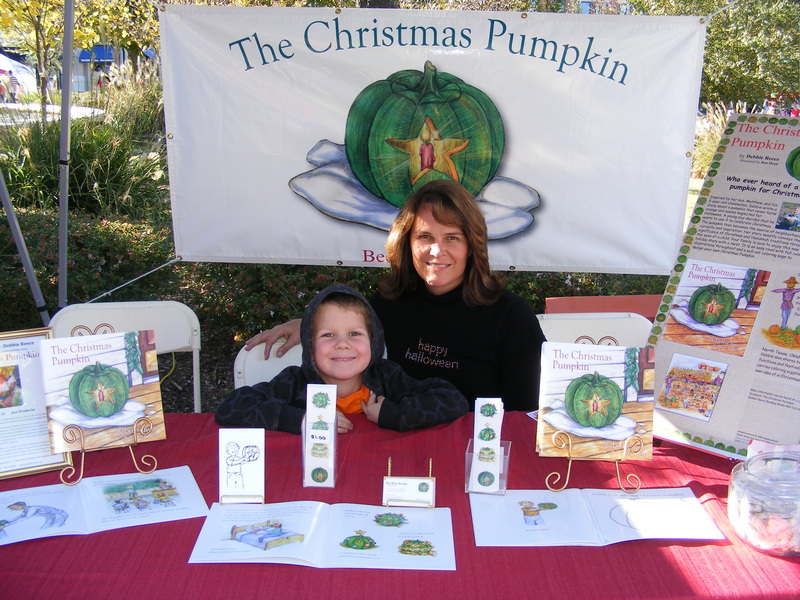 Debbie and son Matthew sign copies of "The Christmas Pumpkin." Another plus is that Debbie often takes her son Matthew with her. “He loves it when people ask him to sign the book,” she says. I’m not any help to marketers. I don’t tend to “like” anything on Facebook anymore. I started off liking a few things and brands, but then my friends asked me to like their favorite things, and then the feeds started and it all just became too much. However, I’m the exception. Nearly 40 percent of consumers “like” companies on Facebook and they do so because they want to publicly display their brand affiliation to friends. That’s the result of a recent study as shared on Social Media Examiner. Of course, I may change my ways. I’m discovering – as many already have – that by liking a company I will receive coupons. In fact, nearly 40 percent of Facebook users who become fans do so to receive discounts and promotions. And, of course, there are pages that I keep because of what they provide to me. I’m not alone in that thinking. “A Facebook page should be tool that provides a forum for open and honest communications. If all you are doing is spamming those who ‘like’ your page, then you are not strategically driving a dialog of ideas that can persuade opinion,” says Brian Chandler, APR, president of Commonwealth Public Relations. “I’m looking for pages that provide content and create dialog, but are also going to help me as a professional, or generate ideas that I can offer as tactics for clients,” he adds. What makes you “like” a page? My day often is consumed by meetings. How about your day? I quickly realized that while our team meeting was needed to inform and bring people up to speed, we didn’t need to hold it weekly. Now we meet twice a month and all team members contribute to the agenda in advance. If there are no items that need to be discussed, the meeting is cancelled. When others request that I attend a meeting I ask what the expected outcome of the meeting is. If they can’t tell me that, I decline the meeting. I’ve also learned to avoid back-to-back meetings. I build in 30 minutes after a meeting so that I can follow-up on the items that I need to. It’s helped me to stay focused and to advance projects. It also enables me to have time to think and reflect about what was discussed in the meeting. I’m not worried about status, but meetings do provide me with social interaction across divisions and keeps me in the loop. So as I continue to work to streamline meetings, I’ll accept the reality that I am a secret lover of meetings. How do you feel about meetings? These are all questions I’ve been asked in the past few weeks, and when I ask, “When do you need it?” I’m invariably told, “When you can get to it,” “No rush,” or “For the next issue.” No one seems to want to give me a deadline. Without the deadline, I have no sense of urgency. Your project falls to the bottom of my “To Do” list because I have plenty of other tasks with deadlines. Without a deadline, I can’t honestly tell you if I can fulfill the request. I know you are trying to be considerate because you think or know I am busy. I appreciate the consideration. But give me a deadline. I’ll tell you if I can meet it. And that deadline also will guarantee that I submit it when you need it. Otherwise, it’s probably not going to get done. A deadline will make us both happy. A recent post focused on big ideas to save journalism. What about changing the university curriculum so that students are prepared to work in this ever-changing environment? That was what Ron Bennett spoke about during the Media Network Idaho’s workshop on “Communicating in a Changing World.” During Ron’s tenure as Communication Department chair at Brigham Young University — Idaho, the department went through a major curriculum revision. While the University of Colorado discontinued its School of Journalism and Mass Communications and is moving toward a curriculum focused on information and communication technology, Ron said Bringham Young University thought a different approach would work. So a group was convened that interviewed CEOs around the country in major cities. The major criteria that all asked for was to teach students to write. Ron said too often today’s students “only write with their two thumbs” referring to texting. The CEOs also wanted graduates who had interpersonal skills. “They want to know that the people they hire can get along with others,” Ron said. Other desired skills include speaking and presentation skills, lack of entitlement and a good work ethic. The CEOs “valued breadth, not depth,” Ron said. The result of the research was a new academic plan for the communication department. It features 31-credit core, 15-credit emphasis and a 9-credit module. “There is an emphasis in new media in all instructions yet it teaches core skills and values,” Ron said. The program offers strict requirements along with flexibility and integrates well with minors from other departments. Reviewing the course offerings made me want to return to school. I’m learning on the job now, but to be able to take a module in video or new ventures would be beneficial. I would have enjoyed the core classes and selected an emphasis in either news/journalism or public relations. That would have still left me the opportunity to select a module in the opposite so that I had a well-rounded approach to communications. As someone who often hires, it’s encouraging to see a curriculum that truly prepares students for the reality of life outside academia.